The price of a website design is a moving target and depends on a lot of factors. 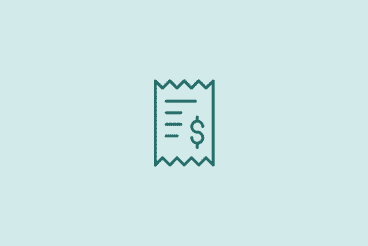 Here’s we’ll look at costs to think about if you are in the market for a new website design, and ways to think about pricing if you’ve been asked to quote a project. A website design can cost anywhere from a few dollars a month to tens of thousands of dollars. It’s less about actual price and what you expect from the project. The key difference in price ranges depends on the type of website, the number of pages, amount of specialty content, project needs (such as copywriting or photography) and project timeline. There’s also a huge difference in price when it comes to do-it-yourself website builders and actually having a website created. But still, there’s a huge variance in price. How do you know you are getting a good deal? A website design in New York City will cost considerably more than a small market in Nebraska. Simple. It’s less about actual price and what you expect from the project. If you want a dedicated team and a website that will be up and running fast, you will likely need to go with a design firm. And that usually costs considerably more than an individual designer. You also get a different level of service. Your overall website needs can impact the project as well. Some designers will charge less for the design if you plan to maintain an ongoing contract with them. Elements that can drive the cost of a website design up quickly include a custom design or functionality – e-commerce, large databases, etc. Finally, the cost is also determined by where you live. A website design in New York City will cost considerably more than a small market in Nebraska. This little guide can give you a quick and dirty idea of what your website might cost based on a few simple website needs. What Does a Website Cost Post-Design? Once the design is complete, it’s important to understand and budget for necessary tools and technology to keep your website up and running. Yes, you have to pay for that URL and somewhere for the website to live. Up to $50 per month. If you don’t have someone to do it for you, run automated backups in case something happens to your website. Up to $20 per month. While you can install SSL/get a security certificate for free, most are included with hosting plan for a small fee (and will automatically renew). Expect $30 to $100 annually. A lot of special functionality comes in the form of a paid add-on to the website content management system. Most themes update free and many premium plugins cost up to $100 per year. Websites require maintenance to stay at their best. If you don’t have someone on your team to perform these tasks, a service contract might be in order. Cost varies. You want people to know about the website, right? From using social media to advertising to in-person marketing and search optimization, there’s a never-ending amount of dollar that can be spent on constant improvement. Cost depends on your budget and marketing needs. If you use a website builder all of these costs are generally included in the package for a recurring monthly fee. You will pay this every month as long as you have the website. Ranges from $2 to $200 per month based on bandwidth and features. The reason website design prices vary so much is because these are custom jobs that meet custom needs. There’s no one-size-fits-all website solution. Some people might need copywriting or to build something brand new; others are looking to put a new design on existing content. At the end of the day, it comes down to the value of the project. If the perceived value is high, the costs don’t seem like such a big deal. Think about it in terms of what the website design is worth to you and your business. Time: How long does this project last? How many design hours will go into it? Technical ability: The designer has special skills and ability to complete the project. Design ability: The website will look and feel a certain way. Money: What’s the potential return on this investment? That can impact costs. Website design prices can vary so much because these are specialized skills and abilities. They too can vary among website design professionals. How Should You Price a Website Design? If you are a designer looking to price a website for a client, it’s important to consider all of the things above. Sometimes clients pick elements from the estimate a la carte; sometimes they sign the contract and work starts and occasionally I never hear from them again. That’s just the nature of the business. When you price a website design, it’s important to value the time and cost of your work. If you cut one person a break, someone else in your market may very well ask for that same price. Remember people talk, creating a consistent pricing strategy will make it easier for you in the long run. Plus, it will make developing a quote a little be quicker and easier. So the answer to the question what does a website cost is not an easy one. From the standpoint of someone buying a website design as well as the designer, it matters what the value of the project is to you. Answer that question and you’ll find a project fit that everyone can agree on.